 California Radiation Protection Bill Signed into Law - ONRAD, Inc.
Radiology Business Journal | October 13 – Gov Arnold Schwarzenegger of California has signed into law a medical radiation protection bill aimed at protecting patients from excessive radiation exposure received during CT scans and radiation therapy procedures. Greasing the wheels for the first state law of its kind in the U.S., SB 1237, as the bill is known, mandates strict new procedures and reporting requirements when it becomes effective July 1, 2012. It also provides an accreditation mandate for CT scanners slated to take effect six months later. The bill requires that imaging providers record radiation doses on images and in patients’ health records, and that radiation overdoses be reported to patients, treating physicians, and the state Department of Public Health (DPH). An identical level of monitoring is required for therapeutic radiation used to treat cancer. Among the many reporting provisions contained in SB 1237, medical facilities must advise the DPH whenever the radiation dose for a given scan exceeds 20% of the prescribed dose, or whenever the wrong anatomic area is scanned. Additionally, facilities offering CT and X-ray services must be accredited by an organization approved by the Centers for Medicare and Medicaid Services, an accrediting agency approved by the medical board of California, or the DPH.